Working with health care providers you trust is a priority, especially if you have a family to think about. The same holds true for your dental care. Besides an office with convenient hours and location, you want to work with highly skilled dentists who can meet your family’s needs. And wouldn’t it be nice if every family member could see the same provider? This saves you the time and stress of driving all over town for your children’s dental appointments. 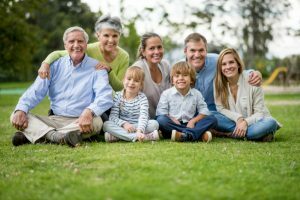 Central Dental Associates is your family dentist in Norwood, and here are some of the comprehensive services you can expect when you choose our office for care. We welcome patients of all ages at Central Dental Associates, and we love to see children. We know that your child’s first dental appointments are critical for setting them up for successful future appointments, so we strive to keep our visits with them fun and upbeat. You’ll also find preventative services for children including dental sealants to protect their teeth from decay and cavities. Fluoride treatments will help to build and strengthen small teeth. Our doctors can also discuss protective mouth wear if your child participates in sports. Our highly skilled team of doctors has years of training and experience between them; so if you’ve considered making changes to the appearance of your smile, look no further than Central Dental Associates. Whether you have one or multiple teeth in need of repair, our team can plan treatment that will restore beauty and function to your smile. Your comfort is our top priority, and our goal is to provide all the dental care that you’ll need under one roof. For this reason, you’ll find that our dentists are highly specialized and can provide services at Central Dental Associates that other practices may refer you out for. We provide our patients with comprehensive care. You’ll find that we can help you with root canals, periodontal therapy, and dental implants from start to finish, just to name a few. We always want you to be surrounded by the team you know and trust when it comes to your treatment procedures. Do you want to learn more about what your Norwood family dentist offers? Contact our office today to schedule your next appointment. We offer convenient evening and Saturday appointments designed to accommodate any busy schedule!